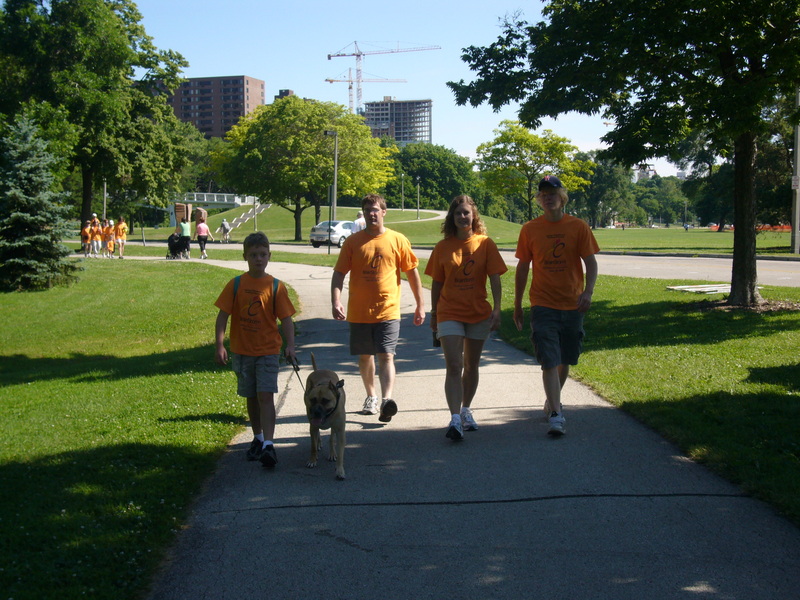 On June 29th our family joined our good friends, the Bergrens, for the Brainstorm – Epilepsy walk down at Milwaukee’s Lakefront. We arrived a little late so Rob dropped us off on the side of the road. It’s a good thing because we were not sure if Barley could walk 3 miles after hearing about his “dead dog” antics when he is tired. We had wonderful weather and chatted with friends after but mostly we just stayed out of the way with our dogs. Setting a good pace; where's Comet? Jen & Jason with three of Milwaukee's famous sons. Where's Polish? Trevor in front of Klement's version of the wiener mobile. The Perry (and Ross) contingent of the "Doin' it for Darcy" team. In other exciting news, our puppy still does not like the water but that does not stop us from trying to get him interested! 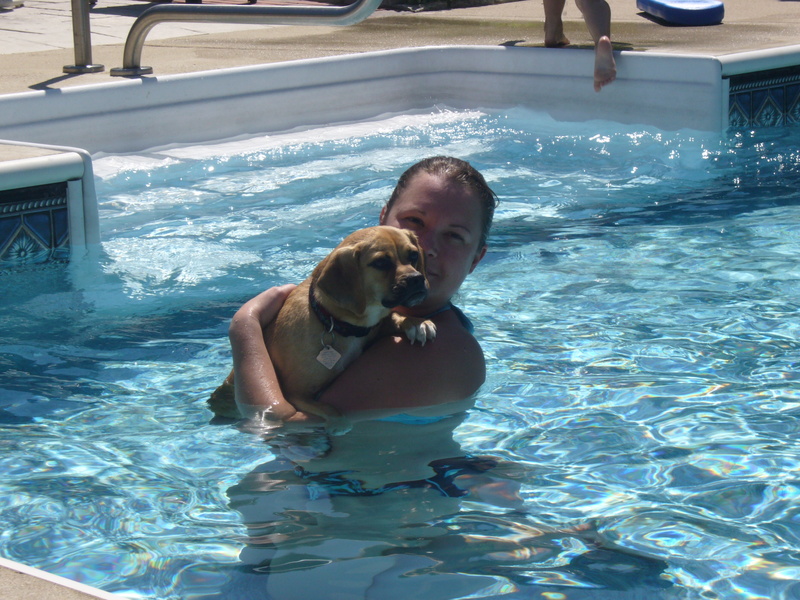 This hot dog reluctantly cools off! Comet hangs on for dear life as Lexi and Dayton splash around. 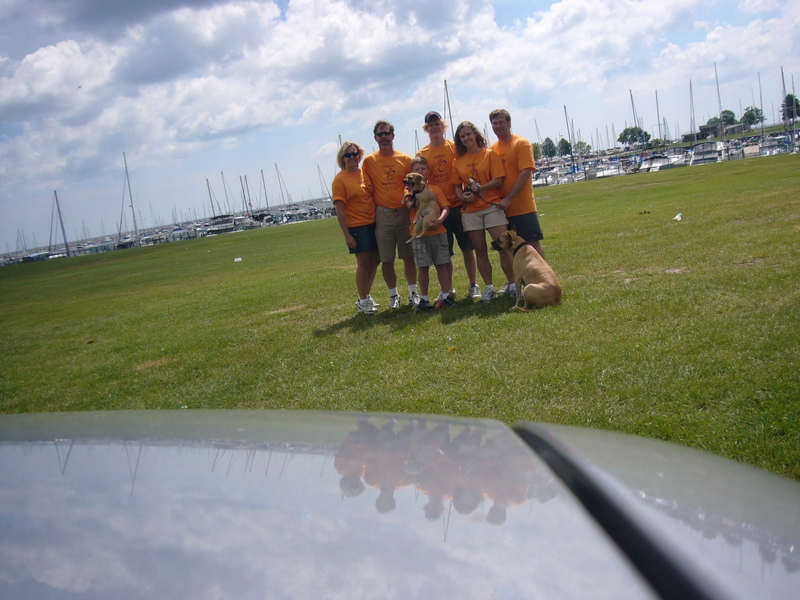 This entry was posted in Carol, Comet, Rob II, Rob Sr., Trevor and tagged Comet, family, hot dogs, swim, walk. Bookmark the permalink.